The son of former University of Washington and NFL QB Hugh Millen, a three-star recruit, opened up his recruitment again after Oregon made an offer. 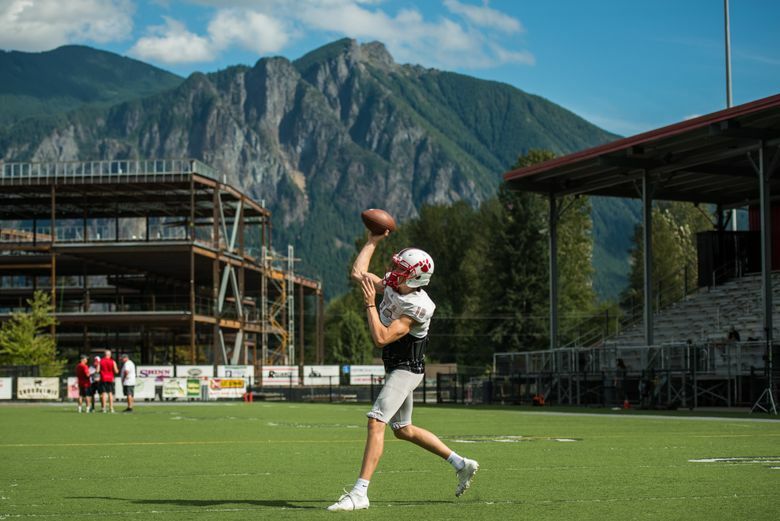 Mount Si quarterback Cale Millen, son of former Washington and NFL QB Hugh Millen, announced via his Twitter account late Wednesday that he’s reopening his recruitment. Millen originally committed to Northwestern University in December but is now reportedly considering Oregon and Arizona State. The 6-foot-3, 190-pound junior threw for 2,447 yards, 32 touchdowns and four interceptions last season, earning all-KingCo 4A honors. Mount Si finished at 7-3, last reaching the state tournament playoffs in 2013. Recruiting site 247sports.com lists Millen as a three-star recruit and No. 6 overall in Washington for the Class of 2019. Millen is the No. 27 pro-style quarterback in the nation.